The Department of Human Oncology offers access to state-of-the-art machines and cutting-edge software development tools. Below is a sample of technologies currently available. 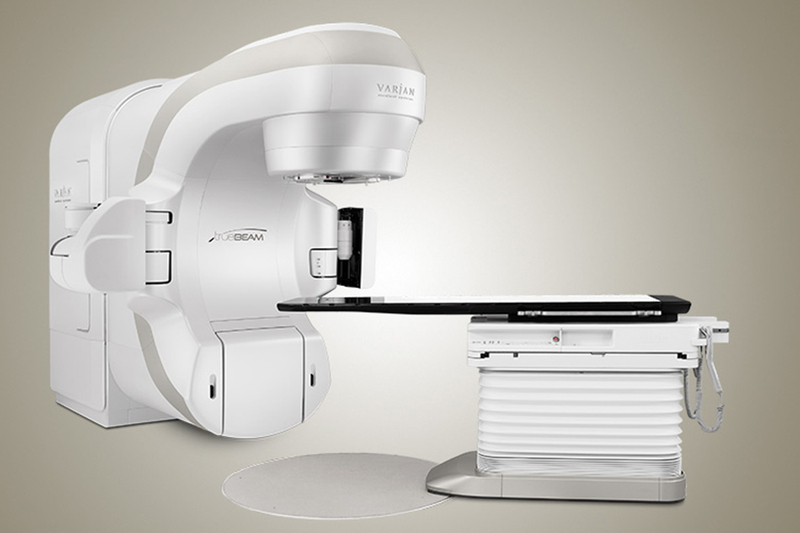 The Varian TrueBeam STx system features multiple photon and electron beam energies, a high-definition multi-leaf collimator (HD-MLC) with 2.5 mm central leaves. The Varian TrueBeam system features multiple photon and electron beam energies, a multi-leaf collimator (MLC) capable of shaping fields up to 40 cm in length. 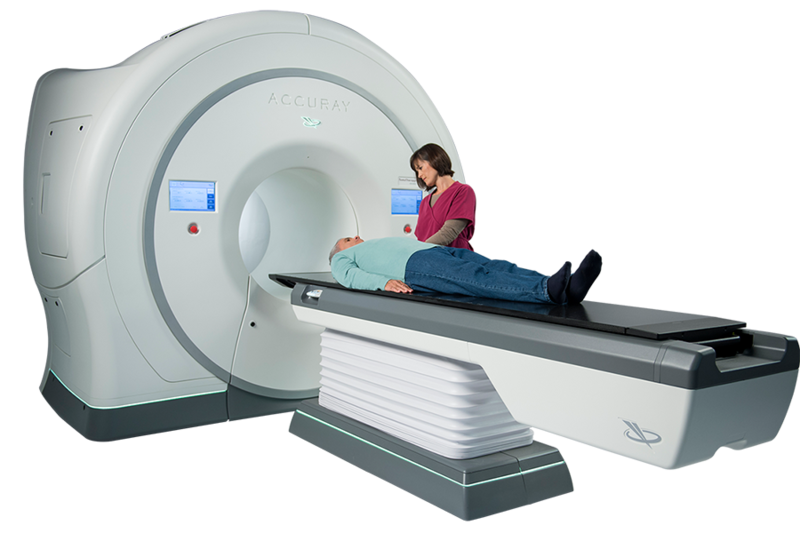 The Accuray TomoTherapy HDA system enables both 3D conformal radiation therapy (3D CRT) and intensity-modulated radiation therapy (IMRT), in both the discrete-angle TomoDirect mode and the classic TomoHelical rotational delivery mode. 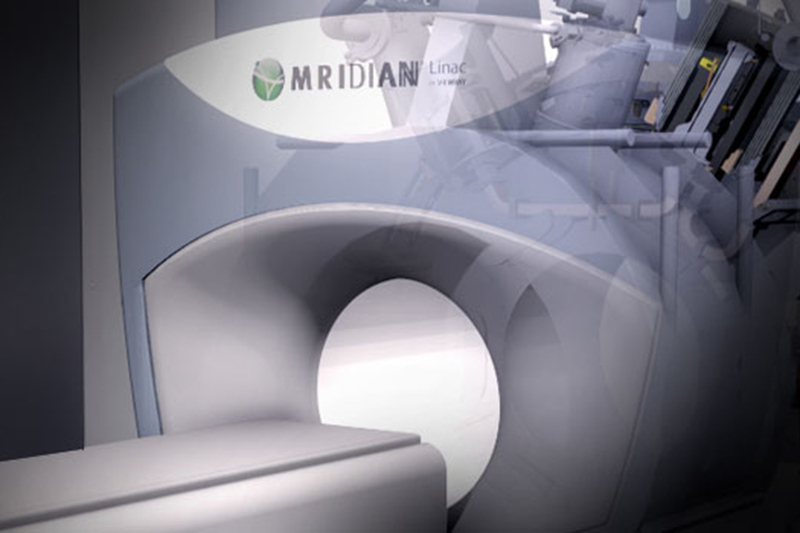 The ViewRay MRIdian Linac system combines a 0.35 Tesla MR scanner with a linear accelerator-based 6 megavolt photon beam. 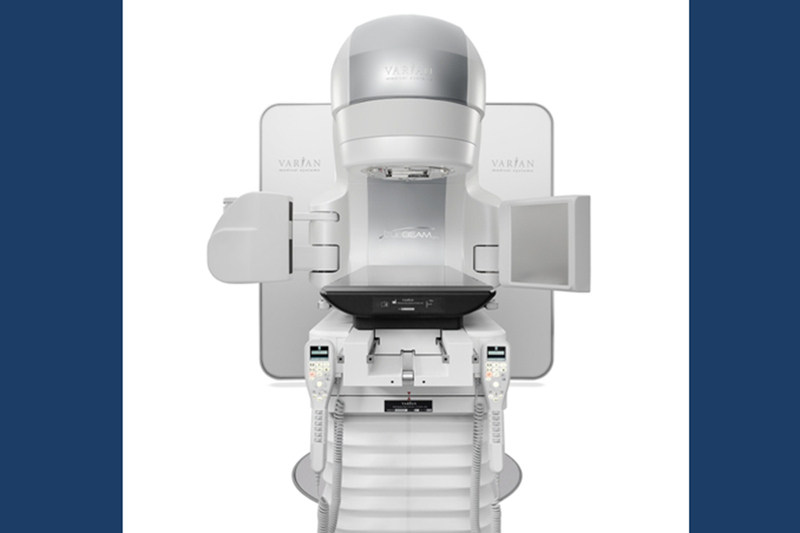 It is the world’s only FDA-cleared delivery system to combine MR image guidance with a linear accelerator delivery platform. 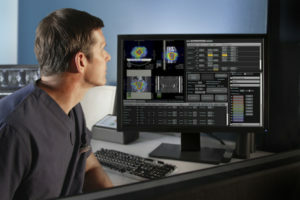 The Elekta Flexitron Remote Afterloader is designed to simplify and enhance High Dose Rate (HDR) Brachytherapy treatments using Iridium-192. Image courtesy of Varian Medical Systems, Inc. The Eclipse treatment planning system offers a full array of radiotherapy treatment planning tools for a wide variety of treatment modalities. We use Eclipse at UW Hospital for stereotactic radiosurgery (SRS) treatment planning. Eclipse allows us to create SRS treatment plans for multiple treatment techniques, including dynamic conformal arc delivery, volumetric modulated arc therapy (VMAT) and cone-based delivery. Eclipse includes the AAA and AcurosXB dose calculation algorithms for photon dose calculations. Eclipse is fully integrated with ARIA, our oncology information system. The RayStation treatment planning system is currently being implemented at UW Hospital and will enter clinical use in late 2017. 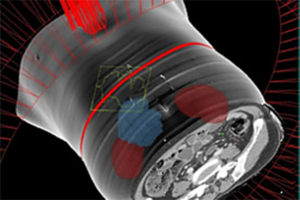 RayStation offers a full array of radiotherapy treatment planning tools for linac-based radiotherapy treatments. In addition to standard planning tools, RayStation has additional tools like automated planning and multi-criteria optimization to improve efficiency and plan quality. RayStation is also designed to make adaptive planning much more efficient, allowing us to extend adaptive radiotherapy to a larger number of patients. RayStation will be used to perform treatment planning for a wide variety of treatment sites. © Koninklijke Philips N.V., 2004 – 2017. All rights reserved. The Pinnacle3 treatment planning system has been the primary treatment planning tool at UW Hospital for almost 20 years. Pinnacle offers a full array of radiotherapy treatment planning tools for linac-based radiotherapy treatments, allowing us to plan everything from simple emergency cases to complex volumetric modulated arc therapy (VMAT) plans in a single planning environment. We have worked hard to optimize our use of Pinnacle by developing extensive automation scripts that streamline many elements of the planning process. These scripts have helped us make planning more efficient and improve plan quality. Pinnacle3 is used to perform treatment planning for a wide variety of treatment sites. Image courtesy of Elekta Inc., copyright 2017. The Oncentra Brachy treatment planning system is used to plan high dose rate brachytherapy treatments for our Elekta Flexitron remote afterloaders. 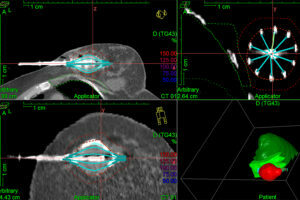 The Oncentra Brachy software is optimized for brachytherapy treatment planning. 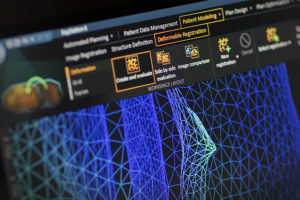 The software includes contouring tools, applicator and implant modeling tools and specialized dose calculation engines that are designed to maximize planning efficiency. Image courtesy of Accuray Inc. All rights reserved. The TomoTherapy Treatment Planning System is the exclusive treatment planning software for our TomoTherapy HDA systems. The TomoTherapy software enables us to create both 3D conformal radiation therapy (3D-CRT) and intensity-modulated radiation therapy (IMRT) treatment plans. 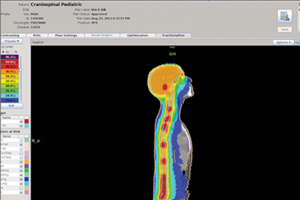 The TomoTherapy software uses VoLO™ Technology, which significantly accelerates dose calculations. The TomoTherapy Adaptive Planning tools allow us to account for day-to-day changes in patient anatomy and initiate adaptive treatment planning. 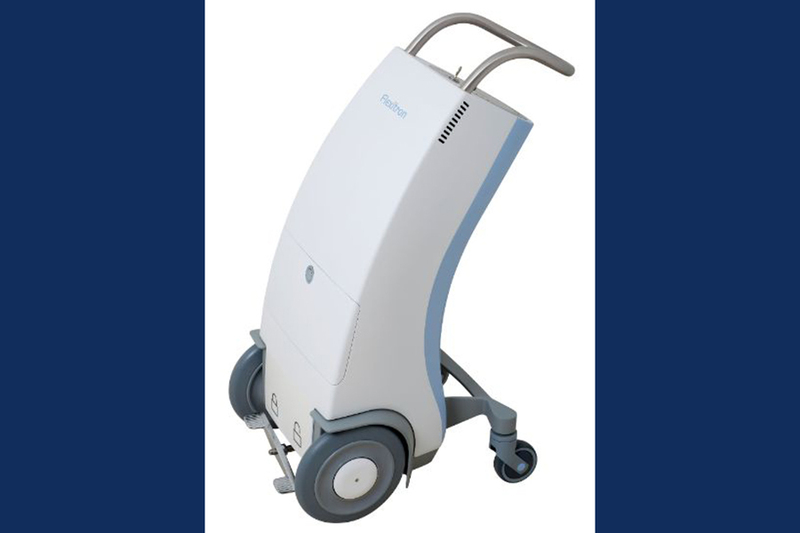 TomoTherapy is used to perform treatment planning for a wide variety of treatment sites. The ViewRay treatment planning system is the exclusive treatment planning software for our ViewRay MRIdian system. The ViewRay treatment planning system is fully integrated with the MRIdian treatment and delivery platform, allowing for streamlined treatment planning and on-table adaptive re-planning. 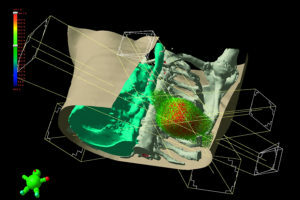 The ViewRay software can create plans for three-dimensional conformal radiation therapy (3D-CRT), intensity modulated radiation therapy (IMRT) and stereotactic body radiation therapy (SBRT). At UW Hospital, we have developed a rapid-access palliative radiation workflow utilizing MRIdian’s online adaptive radiotherapy capabilities to simulate, plan and treat urgent palliative cases efficiently in a single session. The ViewRay software is used to perform treatment planning for a wide variety of treatment sites.